Exoneree Diaries: As series closes, how can system ever repay the falsely imprisoned? Over the past two decades, Chicago lawyers, journalists and innocence crusaders have exposed flaws in the criminal justice system. Indeed, Cook County leads the country in the number of exonerations. But one area of wrongful convictions that has gone overlooked, apart from media coverage about multimillion dollar lawsuits won by the few, is how exonerated prisoners struggle to re-enter society and rebuild the lives and livelihoods they lost. Exonerated prisoners encounter a world where they may have no place to sleep and no way to feed or clothe themselves; where family and friends have grown up, grown apart or died; where only 30 states plus Washington, D.C., have passed compensation statutes, and even some of these laws fall short; where they continue to experience the stigma of lockup and struggle to overcome years of institutionalization. On top of this, in Illinois criminal records are not automatically cleared when judges overturn convictions, interfering with the ability to find work and become part of a community. These people do not even have a name. No dictionary I have found lists the word “exoneree,” even though as of this writing, there are 1,444 known men and women in the United States whose cases have been overturned since 1989, according to the National Registry of Exonerations. For too long, they have been nearly voiceless. But in September 2013, WBEZ committed to giving three Cook County exonerees – Antione Day, Jacques Rivera and James Kluppelberg – a big voice. Together, we launched Exoneree Diaries, a year-long multimedia series to explore a new frontier of the innocence movement. At the time, exonerations were at a record level – 87 total in 2013. In 2014, exonerations kept pace with those highs, with 76 convictions overturned as of this writing. The narratives are built on a foundation of hundreds of hours of interviews with exonerees; their family and friends; criminal justice experts and officials; and lawyers and students. More than 4,000 pages of records — some more than a quarter of a century old — support their accounts, including original trial transcripts; court filings, orders and dockets; police reports; letters; news stories; affidavits and other evidence. Antione Day, who was convicted in 1992 based on false testimony and poor representation, had a less than triumphant release when his case was overturned 12 years ago, after nearly a decade of incarceration. He found himself outside in the rain with no money and nowhere to go, wearing clothes he had plucked from a stinking pile inside the Cook County Jail. For another decade, he lived with stigma, was repeatedly refused for employment and was profiled by police. He earned a certificate of innocence in 2011, the legal requirement in Illinois to obtain compensation, almost missing the deadline because he was unaware the state had such a process. With his compensation earnings, he started his own organization to help exonerees adjust to life after prison. Almost a quarter of a century after his ordeal began, Antione still feels like he is in the state’s back pocket, especially after an officer spooked him by recalling his old arrest warrant for murder. 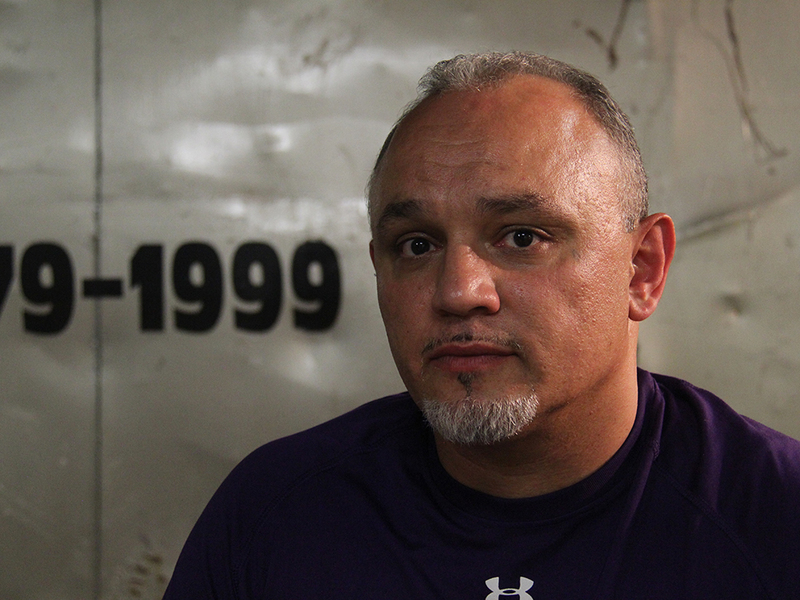 Jacques Rivera was released from prison in 2011 after more than two decades behind bars. 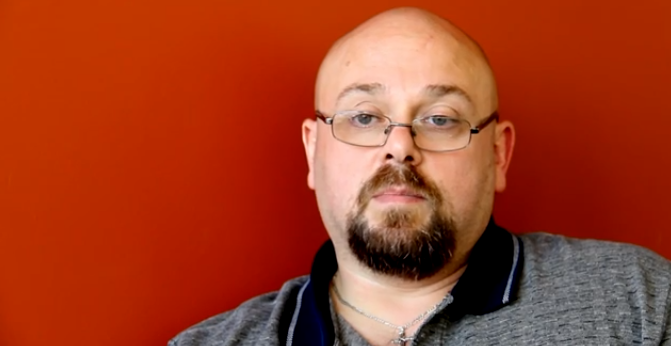 Eyewitness misidentification contributed to his wrongful conviction. His release garnered media attention, but when the cameras stopped clicking, he found himself struggling with symptoms of post-traumatic stress disorder. He slept with a knife under his pillow for the first few months of his release, and he has had the frequent nightmare in which the detective from his criminal case, the notorious Reynaldo Guevara, shoots him in the back. Rivera has a civil lawsuit pending against the City of Chicago, and his attorneys are fighting to track down and access old police records. He is trying to reestablish relationships with his children – one of whom is incarcerated. James Kluppleberg spent almost a quarter of a century in prison when he was released in 2012. His mother died not long before his release, and his wife had divorced him about halfway through his incarceration. Were it not for his estranged son welcoming him in, James would have been homeless. His two granddaughters, whom he had never met, sacrificed their room for him, and for months he slept on their bunk bed with pink Tinkerbell sheets. He quickly sought employment, submitted hundreds of job applications, with little response. James went to interview for one position, only to be turned away on the spot. “We don’t hire convicted murderers,” they told him. He obtained a certificate of innocence, but the state fought his attempt, creating another long legal hurdle. James is suing about a dozen Chicago police officers for allegedly having contributed to his wrongful incarceration, in part due to a false confession that was beaten out of him, leading to health issues he continues to face. The lawsuit targets former police commander Jon Burge. 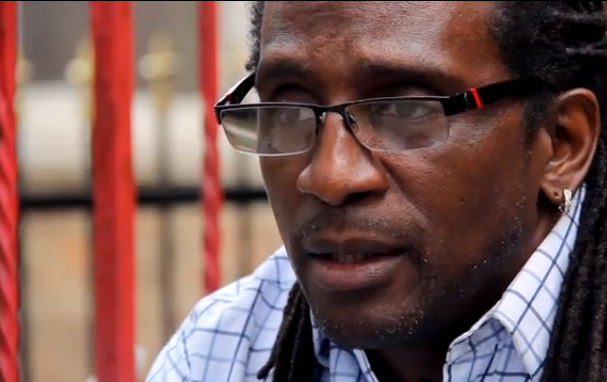 We kicked off the series with a short documentary introducing the three exonerees. Over the course of the year, WBEZ’s Morning Shift hosted our series 11 times, featuring all three exonerees. Sister Helen Prejean of “Dead Man Walking” and Kirk Bloodsworth, the first death row exoneree cleared by DNA evidence, also joined the program. In addition to telling the exonerees’ individual stories, we delved into law and policy around exoneration issues, with insight from Loyola University’s Life After Innocence program, the only project in the country solely dedicated to helping exonerees after release. We talked to Jarrett Adams, a Chicago native and Wisconsin exoneree with a burgeoning career as a lawyer, who gave us perspective on the weak compensation statute in Wisconsin. The state only compensates $5,000 per year of incarceration. On WBEZ’s sister station Vocalo, we learned from Indiana exoneree Kristine Bunch and newly released prisoner Jennifer Del Prete what unique struggles women face as they reenter their communities after a wrongful incarceration. Over the past year, the series was spotlighted alongside famed innocence champion Barry Scheck at Loyola University. The Illinois Humanities Council invited us to speak at the Chicago Cultural Center and Northwestern Academy for Chicago Public Schools program hosted us at Northwestern University School of Law. Exoneree Diaries also served as a backdrop to a panel of women exonerees at the international Innocence Network conference in April 2014. As the series came to a close, the Online News Association selected Exoneree Diaries as a finalist for an Online Journalism Award, one of the highest honors in the field. Among female exonerees, 63 percent of female exonerees were convicted of crimes that never occurred, three times the rate for men. Across the country, we also saw significant reforms in the area of prosecutorial ethics this year. For the first time, a prosecutor was sent to jail for his direct involvement in wrongfully convicting an innocent man in 1987. The Dallas County District Attorney’s Office has continued to lead the way in showing how prosecutors are supposed to get it right. In July, Dallas County District Attorney Craig Watkins exonerated a former prisoner through his office’s own systematic DNA review of old evidence. It was the first exoneration of its kind. In 2007, this was the first prosecutors’ office to open a conviction integrity unit to review old cases. Now it’s become a national model for other projects, and the U.S. Attorney’s Office in D.C. recently announced it will soon have the first federal conviction integrity unit in the country. Where we have yet to see much progress is in the area of compensation. There remains no system to fairly and consistently compensate innocent people. As this entry marks the 50th and final installment of Exoneree Diaries, we end this media experiment as we began, by breaking form. Journalists are generally discouraged from thanking their sources, but we must express gratitude to the exonerees – Antione, Jacques and James – who anchored this project with their stories. These three men made themselves vulnerable to us, digging deep for their most painful memories. Along the way, they revealed an unfortunate reality. They showed us that after a wrongful conviction, release from prison is not the victory it is perceived to be. It is, in fact, just the beginning of another dark narrative seldom told. In telling that story, or trying to, we have often asked how these exonerees can ever be made whole. Antione, Jacques and James have answered that question for us: They won’t. They can’t. They can never make up for lost time. They can only move forward. “It is a burden, and it continues to haunt you,” Antione said. So the question becomes, how will the U.S. justice system exonerate itself of its crimes against innocent people?